Camping with kids can be a challenge. More tents, more space, more sleeping bags, more food, all your favourite recipes now need to be doubled and more time will be spent looking after them than normal. It can also be the most rewarding experience of your life. Seeing the outdoors through their eyes gives you a whole new perspective on the world around you. Watching them navigate through a woods and picking up sticks and other bits and pieces to examine brings out ancient hunter/gatherer traits in all of us. 30 years of camping has taught me many things. What I learned the first time I took my kids for a hike in the woods surpasses all of that. Being outdoors with them has come down to this: preparation makes it easy. A little bit of though prior to any camping trip or hike will pays dividends when you get to your destination. Its a bit like most things in life – a good plan makes things go a lot smoother and helps avoid disappointment and even injury. 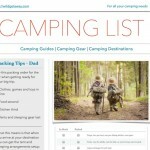 So without further adieu, here are The Top Ten Tips for Camping with Children. Kids get thirsty. More than they think they do. Make sure each child has enough water (relative to the heat and activity level). Best measurement of fluid intake is output. Monitor how much and how often they pee. If it’s only once a day, it’s not enough liquid. 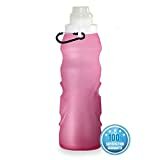 You should get everybody a good quality drinking bottle – light weight but sturdy enough to cope with a few knocks and bangs. Different colours for each person so there is no mix up. We found this one on Amazon which fits our requirements perfectly. 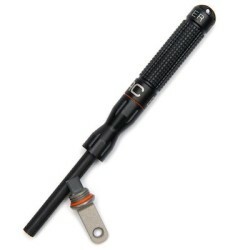 It clips onto your belt when out hiking or rambling but can be rolled up and put into a pocket when its empty. You can also use it for other activities outside of camping. Adults can handle bad weather much more readily than kids. Be prepared for heat, sun, rain, cold weather, whatever mother nature may throw at you. It’s better to over pack than under pack and risk hypothermia. 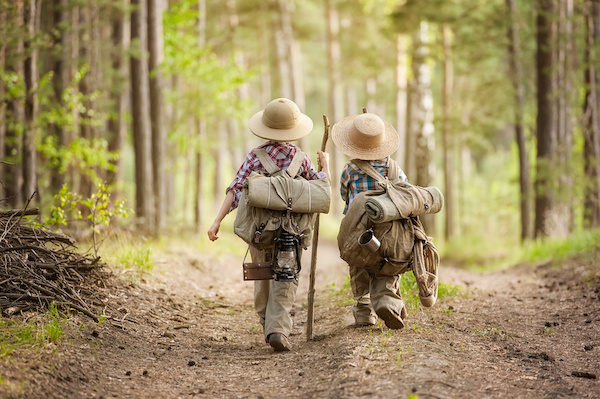 A good kit-list for a day hike with kids can be found here. We also recommend having a few roll up waterproof poncho’s to hand. They don’t take up any space and you will all be glad of them if the rain starts to come down before you reach the camp. City kids don’t see the stars. The first time they get away from the urban glow and see the night sky lit up with more twinkling lights than ever seen before, they’re going to demand to know what each and every one of them is called. A star map will help you point out constellations and planets. They’ll never want to see the sun come up again. I have spent many warm nights staring up at the sky with the kids. We found this guide to the night sky online and it should do the trick nicely. Two items regarding plants: One is that there are lots in your area that are dangerous. 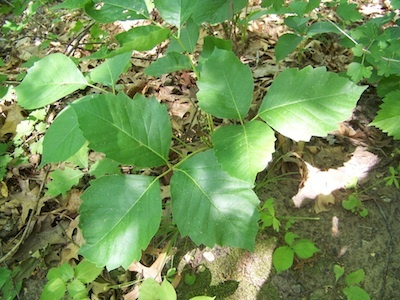 Poison Ivy, poison oak and thistle are just a few of the potentially dangerous plants you may encounter. Get a good field guide for your area and learn to identify them. If in any doubt then avoid touching them and make sure the kids do the same. With a bit of training and experience it will become second nature to all of you but don’t take any risks until you are fully up to speed. Secondly, there are many plants that are edible. These include fungi, berries, root vegetables. Teaching kids to identify these, pick them (with permission) and cook them helps to foster a love for the outdoors and respect for nature’s ability to care for us. It will give the kids a greater appreciation of the fact that we all came from the land and survived for a long time without processed or pre-packaged food. There are a ton of camp games to play, whether there are four kids or 40. Scavenger hunts, time capsules, orienteering and rope games are just some ideas that build skill, confidence and love for outdoor adventure. Be sure to pack travel-games for tent-time or if you are going to a big camp ground then ring ahead and see if they have some already on site. It will save you some space in the car. If it’s too rainy and you’re stuck under cover, cards, books and mini-board games will help pass the time. You could also promote the reading of some quality Survival Kit Books so they can skill up on their outdoor survival skills. Put them to the test when the rain stops. You will be amazed at how quickly they can learn when they put their minds to it. This one comes complete with a compass so they can practice navigation, plus knot tying and loads of other child friendly survival tactics. Fire is central to camping. It cooks food, provides light and a gathering place where songs are sung, stories are told and memories are made. Of course fire can be dangerous to little ones who haven’t yet learned that a hotdog stick gets hot below the part that was in the fire. The best advice is to keep the fire small, and don’t make it off limits. Children are like moths to the flame. If they’re prohibited they’ll sneak around until they can touch it. If introduced slowly and calmly, it’s no big deal. Teach kids about fire before they learn the hard way like so many of us did. You could also try catching some wild food like trout or similar if you have a river near by. 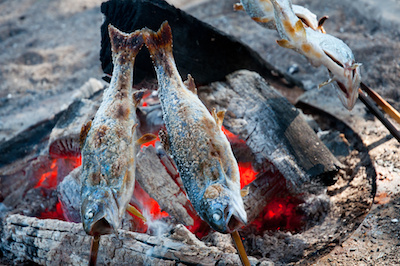 Cooking these on an open fire will make you a real hero in front of the kids. The great outdoors is a never ending wonder. It’s easy to forget to eat, and to not recognize hunger while excited. Make sure every day is filled with snacks that will give them the energy they need to explore. Raisins and Peanuts is a long time staple and is as simple as it sounds. Beware of course of allergies within your group. Jerky is another good source of protein and fats to keep kids on the move. Fresh fruit doesn’t transport well in a pack. Avoid refined sugars as they lead to a crash shortly after consuming. Some great recipes can be found here. Give kids a sense of ownership over their camping experiences. Buy each child a notebook (4×6” or 5×7”), some pencils and a cheap waterproof Waterproof Digital Camera. They’ll start by taking pictures of every tree, rock and mushroom they find. Eventually their attention will turn to wildlife and unique flora. Before the sun goes down each day, take a few minutes and record the day’s events. 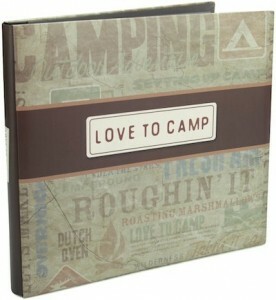 After the camp, print two or three of their favourite pictures and put them in the book. This will become a scrapbook of their time outdoors and will make for amazing memories in the future. Each camp, start by reading about the last one. Refreshing memories regularly will improve the time spent outdoors. There is no bad time to instill the sense of awareness and safety in kids. First hike, find them a walking stick and teach them how to use it safely (for tips, see how and why to use a walking stick). Negotiating difficult terrain becomes easier with a walking stick. As they get older, they can carve their own images into them and make it personal. These become part of their outdoor identities. Scouts have been doing this for more than a century now. Teach kids to identify when a fire has become dangerous, and how to put it out quickly and safely. Every child should have a survival pack with their own weather gear, food and water, and an emergency whistle. Teach them to stay still and blast in threes if they get lost. Nine or ten years of age is generally appropriate to teach kids how to lay and light a fire if they get lost and have to spend the night alone. Safety near water and on ice are also important skills. The most important part of any camping trip is to have fun. Spending time with the kids, away from the TV, technology, homework, hustle and bustle of life is why we camp. Take the time to see the world through their eyes. Don’t forget how much fun it is to go rolling down a hill, or to watch your marshmallow catch fire and flame out into the coals. To unwrap a foil meal or a pie-iron and dig in while it’s still too hot. Getting away from home is the absolute best place to connect with your kids and make lifelong memories. No video game can replace that. Stop and smell the flowers. Listen to the birds. Watch the fish jump. Count the stars. Have fun.